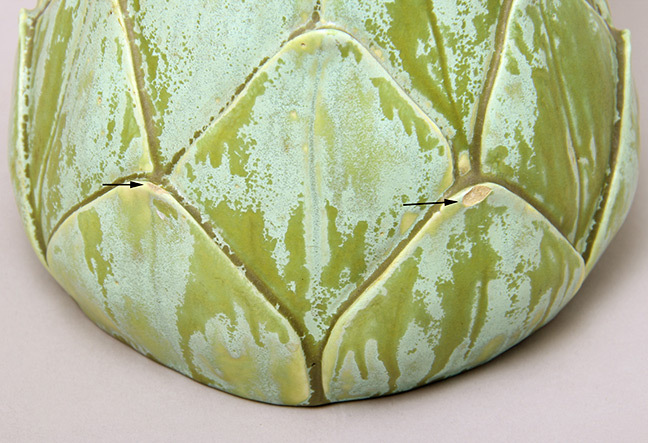 Tiffany Favrile pottery vases are rare, especially with fine designs and glazes. 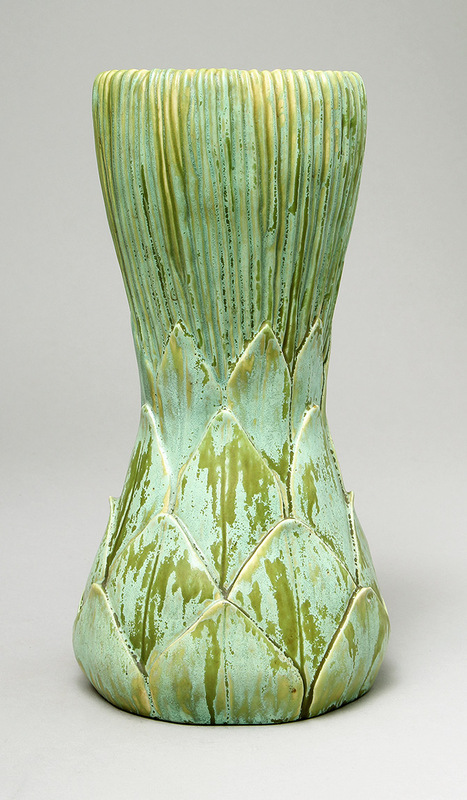 This example is an Artichoke vase, with a great glaze. It's big at 11" and very desirable. Signed. Almost mint condition, except for two small chips on the tips of some petals (pictured). They're minor on a vase of this importance and they're easy to fix (if that's what you want).